Welcome to another Moodboard Monday! I’m starting to feel all festive (yes, already) and have been thinking of how I’d like the house to look over Christmas this year. As I’ve been so much more in touch with home interiors this year, I’ve been following the trends for Christmas decorations too. 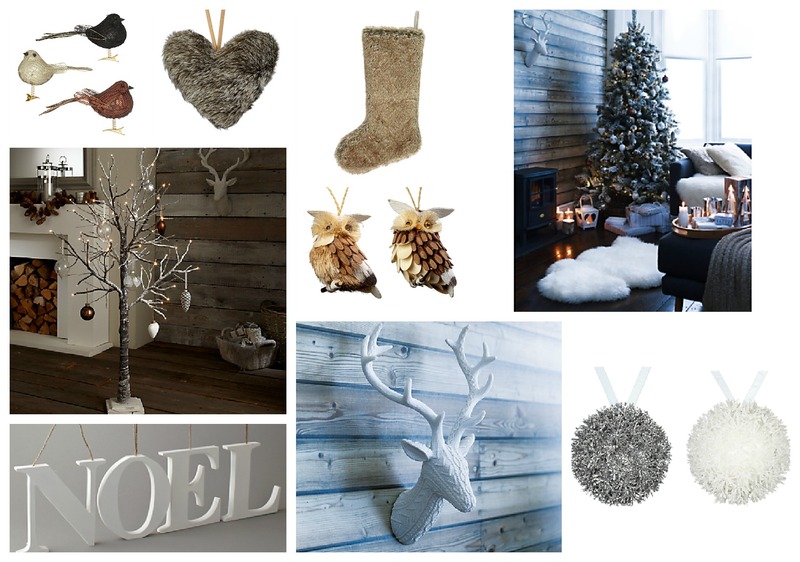 All of the items in this Moodboard are taken from the John Lewis Winterland Christmas theme which I am totally in love with this season. It’s full of texture with lots of fur, feathers and plush fabrics. It’s full of rich colours mixed with sparkling, icy baubles. It reminds me of crisp, frosty winter days and spending the evenings in front of log fires wrapped up in warm blankets, drinking hot chocolate. It’s rustic with a modern twist. I would really like to recreate this look for my Christmas tree and decorations this year and I think with just a few key purchases I could update the current decorations box to fit this theme. Well that’s what I’ll tell everyone anyway! What do you think? Could this be your ideal Christmas decorations theme this year? And now bloggers, it’s over to you. The Moodboard Monday linky is now open. You can either follow the theme here and create your own Christmas Decorations board, or create something of your own. Pop over to LISH Concepts and take a peek at Mummylish’s board for more inspiration. 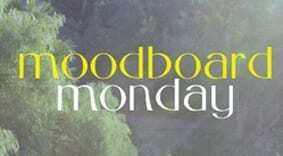 Moodboard Monday is a fortnightly feature where we create a moodboard inspired by a certain theme. The linky is also run by Mummylish over at LISH Concepts. But that’s not all…. Moodboard Monday is also open to you! Create your own Moodboard by either following the theme this week or using your own ideas. The Linky will be open for 2 weeks. You can create your Moodboard any way you like, with an actual magazine collage scanned in or photographed or using the computer ie. photoshop, picmonkey, olioboard or Polyvore. You could even use a selection of photos/images in your blog post separately to create your Moodboard. You may want to focus on interiors one week and fashion the next, you may want to use your own photography or images – anything goes, feel free! If you would like some ideas about how to create your moodboards check out the LISH tutorial on How to create the perfect moodboard. Post your Moodboard on your own blog and then link up below. You can also link up at the LISH Concepts Moodboard Monday feature too. Grab the Moodboard Monday button from the sidebar and include it in your blogpost. Comment on others that have linked up and share some Moodboard Monday love! I love your moodboard very classy and cosy, mine is quite traditional I suppose i like a smattering of homemade in there and definately childlike! I love pulling together these moodboards! Ooh that’s my tree I think, but I’ve gone for a slightly larger one. I’m going to try and fit my traditional ornaments into my scheme, but be a little more minimal. Love the knitted stags head, I would love one of those!